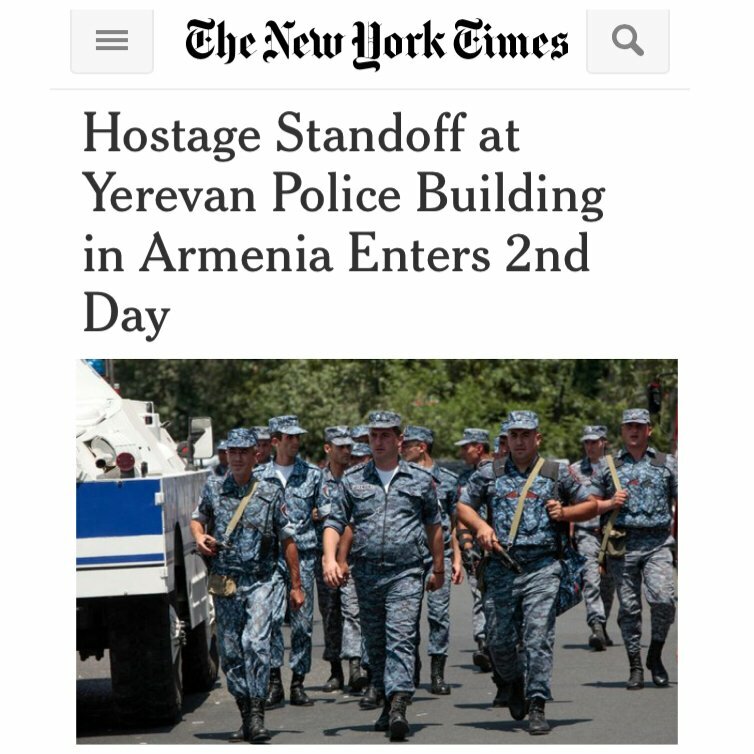 MOSCOW — Militants who attacked a police building in the Armenian capital, Yerevan, killing one person, remained holed up with a number of hostages for a second day on Monday, demanding that the government resign and that it release an opposition leader. Two hostages were released overnight on Monday after intense negotiations, the National Security Service of Armenia said in a statement, and special forces helped release two others a day earlier. Those who are still believed to be held include the deputy head of Armenia’s national police, Maj. Gen. Vardan Egiazaryan, and the deputy head of Yerevan’s police, Col. Valery Osipyan, according to local news websites.